Over the holidays my family participated in an Escape Room, a live puzzle adventure game. We worked as a team to solve riddles, find clues and, over the course of 60-minutes, complete an old town bank heist. Many of the successful clues came from unexpected places – coordinates on maps, numbers inscribed in hidden places, and physical features of the room itself. Other clues seemed promising, but ultimately led to dead ends. In the end, everything came together and we escaped with only seconds to spare. And so it goes with the invention of new medicines. The approval of a new medicine is an Escape Room of sorts, but over the course of decades not minutes. 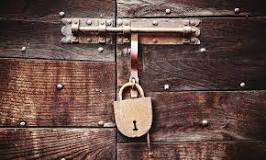 And like an Escape Room, clues can come from unexpected places, with some leading to new insights and others leading to dead ends. I was in an Escape Room state-of-mind as I read a Science Translational Medicine article that developed a system to differentiate blood cells into microglia-like cells to study gene variants implicated in neurodegenerative disorders (here). In this blog, I provide a brief summary of the study, and then describe the potentially interesting phenomenon of genetically driven tissue-specific pathogenicity. What follows is an Escape Room-type of question: do we need to invent new therapeutic modalities that enable tissue-selectivity for broadly expressed targets that exhibit tissue-specific pathogenicity, or is this a niche observation that ultimately leads to a therapeutic dead end? The Science Translational Medicine study by Ryan, Bradshaw and colleagues used frozen peripheral blood cells to derive immune cells that resemble microglia in the brain. Building on previously published protocols, they exposed CD14+ monocytes to CNS cytokines (GM-CSF, M-CSF, CCL2, NGF-b, IL-34) for 10 days, which lead to differentiation into microglia-like cells. They used RNA-seq to demonstrate that the patterns of gene expression were similar between primary microglia cells and monocyte-derived microglia-like (MDMi) cells. Next, the authors used MDMi cells to functionally characterize tissue-specific expression quantitative trait loci, or eQTLs. They generated MDMi cells from 95 healthy individuals and measured the expression of 94 genes implicated in genetic studies of neurodegeneration. They conducted an unbiased search for neighboring genetic variants that influenced expression of these genes, and identified cis-eQTLs for 35 genes and 141 SNPs. A majority of these same cis-eQTLs – 58% to be exact – overlapped with cis-eQTLs from a previous study in peripheral monocytes. To derive insight into the pathogenesis of neurodegeneration, they tested for overlap between MDMi cis-eQTLs and disease-associated variants from genetic studies of Alzheimer’s, Parkinson’s and multiple sclerosis. Of 70 disease-associated SNPs, the study identified 6 genes that appeared to be driven by the same genetic signal as the cis-eQTLs, suggesting that alterations in gene expression are the mechanism responsible for disease risk (see Table 1). The eQTLs for all six genes were directionally similar between monocytes and MDMi cells, although the magnitude of effect was substantially larger for three of these genes: LRRK2, CD33 and PILRB. Ryan et al use LRRK2 as an example of how their MDMi cellular system can be used to provide mechanistic insight into a genetically validated target. LRRK2 is a well-established risk gene for Parkinson’s disease, with a rare variant, G2019S, responsible for both familial and sporadic forms of the disease. The Ryan et al study provides support that another LRRK2 variant – this one, more common and identified by GWAS – is a gain-of-function (GoF) variant that increases PD risk. But more than that, their data add support to the hypothesis that microglia cells are the cell responsible for pathophysiology, as the magnitude of effect on gene expression is nearly 3-fold greater in MDMi cells than monocytes (see Figure 4). Accordingly, the therapeutic hypothesis is that LRRK2-inhibition in microglia cells of the brain should be beneficial in the treatment of PD (see review here). But LRRK2 is also a risk gene for inflammatory bowel disease (IBD). What is interesting is that different LRRK2 variants are associated with increased risk of IBD (rs7307562; see here) and PD (rs76904798). Could it be that the risk variant for IBD alters biology of a cell type(s) in the gut mucosa, while the risk variant for PD alters microglia cells in the brain? If so, is LRRK2 an example of a target that is broadly expressed (see here), but exerts tissue-specific pathogenicity depending upon tissue-specific effects of certain genetic risk factors? Returning to my Escape Room metaphor, is this a clue that opens up a new area of biology (genetically driven tissue-specific pathogenicity for a gene that is expressed across multiple tissues), or is it an irrelevant clue that ultimately leads to a dead end? To probe this question further, I reviewed several recent publications, including those from the Genotype Tissue Expression (GTEx) project. Here is what leads me to believe that we may indeed need to invent new therapeutic modalities that enable tissue-selectivity for broadly expressed targets that exhibit tissue-specific pathogenicity. Second, cis-eQTLs co-localize with GWAS hits, indicating that cis-eQTLs account for a substantial amount of common phenotypic variation. In GTEx, 52% of trait-associated variants co-localized with an eQTL in one or more tissues, with nearly all cis-eQTLs residing within protein-coding genes rather than long non-coding RNAs (lincRNAs). Depending upon the exact fraction of cis-eQTLs that are tissue-specific (as above), this indicates that a substantial number of GWAS hits are driven by tissue-specific eQTLs. Third, tissue-specific regulatory factors (e.g., epigenetic marks) are enriched for genetic variants associated with complex traits. Published just this week in Nature Genetics, a multiancestry GWAS in asthma demonstrated enrichment in enhancer marks at asthma risk loci, especially in lymphocytes and monocytes (here). Numerous other publications have shown the same phenomenon in other diseases. Fourth, many gene loci contain variants with associations to more than one complex trait. In some instances, the same variant contributes to risk of distinct clinical conditions. Such assessments are become routine using phenome-wide association studies (PheWAS) and related methodologies (see asthma GWAS, as well as another recent publication in Nature Genetics on obesity here). In other instances, such as LRRK2 variants for IBD and PD, different risk variants contribute to different diseases. If these variants confer tissue-specific pathogenicity, even for genes that are widely expressed across tissues, then it may be necessary to therapeutically perturb the target only in those specific cells. Taken together, it seems plausible that tissue-specific delivery of a drug that perturbs a target that is expressed across many tissues may be necessary to achieve an acceptable therapeutic index. Note that his concept is different than targeting a protein expressed only in one cell type (e.g., CD20-mediated depletion of B cells for the treatment of immune-mediated diseases such as rheumatoid arthritis or multiple sclerosis). The concept is related but distinct from tissue-specific delivery of a medicine via unique formulation (e.g., topical therapy for skin disease, inhaled therapy for lung disease, lipid nanoparticles for liver delivery of mRNA-based therapies). To my knowledge, there are no therapeutic strategies that achieve systemic exposure but selectively perturb broadly expressed targets in specific tissues. The most closely related concept is that of antibody-drug conjugates (ADCs), where a drug is delivered to a specific cell type by harnessing the unique capabilities of monoclonal antibodies. However, only four ADCs have been approved by the FDA, and all four delivery cytotoxic payloads designed to kill cancer cells. There have not been any ADCs approved that deliver specific drugs to specific cell types (e.g., LRRK2-inhibitors delivered to the gut for the treatment of IBD or delivered to microglia cells for the treatment of PD). To pressure test this hypothesis further, I looked at the eight first-in class medicines approved so far in 2017. (Yes, there have been 46 new molecular entities [NMEs] approved in 2017, but only ~20% are first-in-class mechanisms; see here, here.) I asked whether any of these novel mechanisms delivered drugs to specific tissues. To my surprise, at least half have been engineered to be tissue-specific by nature of the expression pattern of the target itself (e.g., CD19 on B cells for the treatment of leukemia), the occurrence of tissue-specific somatic mutations (e.g., IDH2 mutations in leukemia), targets that are restricted to pathogenic micro-organisms (e.g., cytomegalovirus infection after allogeneic hematopoietic-cell transplantation), or infusions into specific tissue compartments (e.g., intraventricular infusion on an enzyme for treatment of a fatal neurodegenerative condition). Thus, the concept of tissue-restricted delivery is an important component of modern drug discovery and development, even if medicines have not yet been engineered to achieve systemic exposure yet tissue-specificity for targets that are broadly expressed. The value of this approach, which I refer to as “genetically driven tissue-specific pathogenicity”, hinges on just how widespread the phenomenon is. Human genetics, as cited above, appears to provide initial clues to this phenomenon. If genetic data continue to show unique tissue-specific genetic associations across different diseases, as seems to be the case for LRRK2, then it follows that medicines may need to evolve to also be tissue-specific. However, if there are only a few one-off examples, then such a therapeutic approach may not be necessary. As we continue to work through the Escape Room for drug discovery and development, we must be open clues from unexpected places. However, we must also be cognizant of the fact that some of these clues may ultimately lead to dead ends. What will be the fate of genetically driven tissue-specific pathogenicity?